It’s no secret that finding a job is tough. Whether you’re fresh out of education or craving a change of pace, landing your dream job can take months of dedication – and that’s assuming you know what you’re looking for. While some people have a particular job in mind, others remain unsure. If you fall into the latter category, it can be helpful to know exactly what’s out there. If you live in a large town or city, it may be worth job-hunting at your local casino. 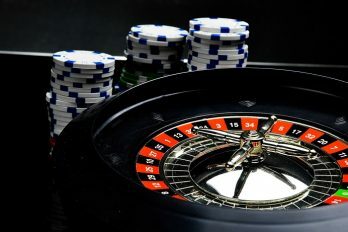 While the main focus of any casino is gambling, there are several other jobs that are not related to betting. 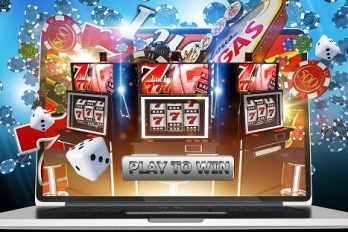 In this article, we explore the different casino jobs in more detail. When it comes to casino jobs, the dealer is one of the most renowned. In charge of operating the games, playing the house hand, and collecting the chips, the dealer’s role is important and hands-on. While there are no required qualifications for dealing, you must have extensive knowledge of the games. If you have no prior experience, spend a few weeks learning the rules before applying for a job. If you enjoy people watching, a surveillance job may be perfect. In casinos, the surveillance staff monitor everything that’s going on. Typically, they use specialist equipment to ensure nobody is cheating or stealing and make sure that all activity is lawful. Unfortunately, you will need prior experience to land a surveillance job and may even need a license. The casino accountants are found behind the scenes. Like any business, a casino needs an accountant to keep track of the money coming in and out. Depending on the size of the venue, the accountant will produce daily, weekly, or monthly reports on the casino. For most accountancy jobs you will need prior experience and a bachelors degree. Responsible for exchanging cash for chips, the Cage Cashier will interact with the gamblers. Typically, this position requires minimal experience; as long as you can count efficiently, you’re in with a chance! Casino technicians repair and maintain the gambling machines. Focussing mainly on slots, technicians will test the machines and perform repairs whenever necessary. Although the machine-testing can be done out of hours, technicians must be on hand during opening hours make any necessary repairs. Found in upmarket casinos, valet drivers are responsible for the customers’ cars. When the gambler pulls up outside, the valet will take their car keys and move the vehicle to a secure car park. When it’s time for the player to leave, the valet will pick up the vehicle and bring it back to them. To be a valet you will need a full driving license and be able to work flexible shifts. Any casino that offers food will need a cook. The level of experience needed for this position will depend on the nature of the restaurant. If the venue is upmarket, it’s likely to have 5-star wining and dining. In this case, you will need to have prior experience and a range of qualifications. If the casino offers a snack bar, however, you may get offered the job without previous experience. If the casino has shops, you can apply for a retail position. While sales experience is a plus, you’re unlikely to need prior experience for this role. Some venues require retail staff to pass a basic maths test and undergo a till training before starting the role. Almost every casino will offer alcoholic beverages. To be a bartender, you’ll need to be over 18 in the UK and 21 in the USA. Additionally, you may need to have completed a bartending course before applying for the role. If you land the job, you’ll then be given training in the relevant liquor laws including shut off procedures and refusal of service. If you enjoy working with people, consider applying for a concierge position. Interacting with casino guests, you’ll be responsible for making their visit great. If guests are staying overnight, you’ll be in charge of transporting their luggage and escorting them to their suite. Ideal for those with minimal experience, the coin loader position is still offered at many venues. Whether you’re working in the cashier’s cage or loading the machines, you’ll be in charge of transporting money to various areas of the casino. If you’re looking for a management role, consider applying for a Pitt Boss position. With a high level of responsibility, this job role is sure to keep you on your toes. The Pitt Boss is often thought of as the bad guy; however, this isn’t true at all. 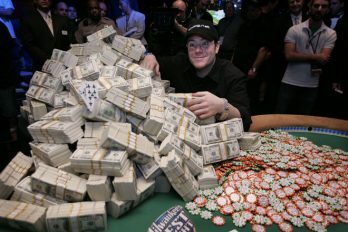 Instead of trying to get people into trouble, the Pitt Boss ensures that everything in the casino is running smoothly. If they see someone cheating, they will alert security to remove them from the building. Providing that you’re following the rules, though, the Pitt Boss will ensure your visit is happy and memorable. Today, many casinos are more like resorts. Offering a range of facilities, they often need a front desk receptionist to check customers in and out. Whether they’re interested in booking a suite, hosting a convention, or visiting the on-site spa, players can talk through their options with the front desk receptionist. For this job role, you need to be efficient and highly personable. While prior experience is a bonus, it’s not always needed to apply for the role. Whether you’re hoping to use your degree or you’re happy with an entry position, visit a casino near you to find a suitable role.